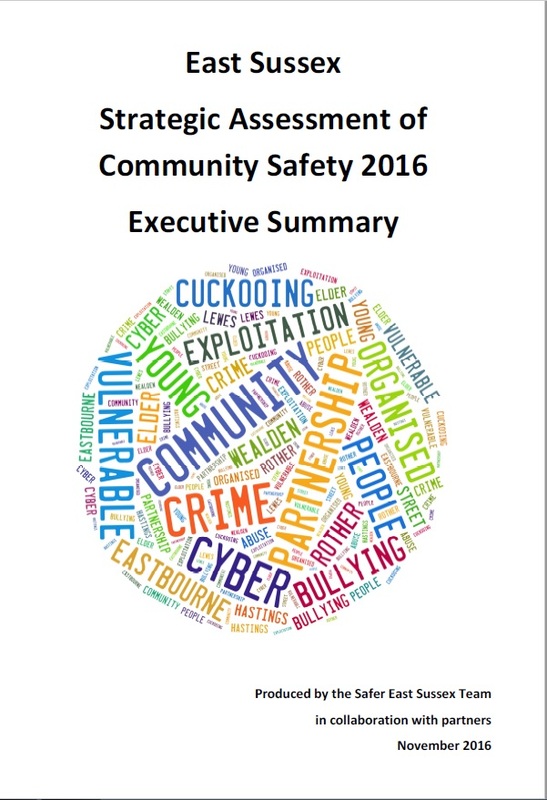 We write a variety of documents that show how we work together to make East Sussex safer. 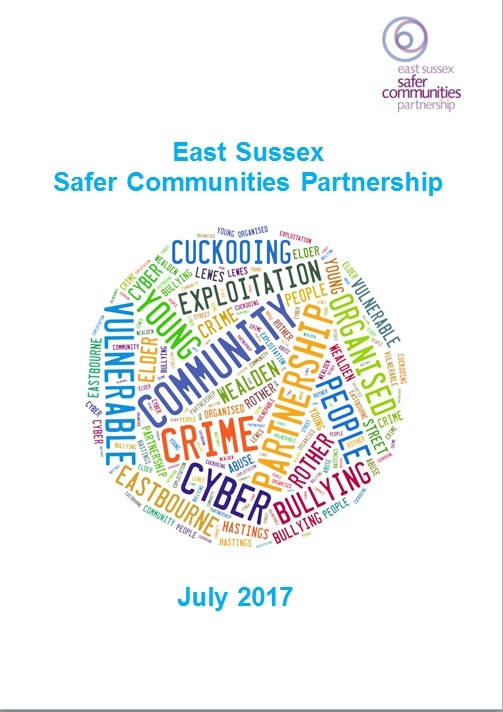 The East Sussex Safer Communities Business Plan sets out how partners will work together to deliver our community safety priorities for 2017/18. This Executive Summary gives you an overview of the findings from the 2016 strategic assessment, which informs the Partnership Business Plan for 2017/18. 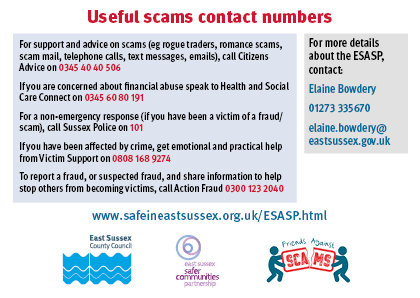 A Scams Resource Pack has been developed, containing useful information and websites where you can find out more about scams. The new Domestic Abuse Strategy 2014-19 reflects the commitment by East Sussex agencies and organisations to work together to effectively combat domestic abuse. The strategy is designed to ensure a co-ordinated and joint response is taken by agencies, all of whom are committed to reduce the prevalence of domestic abuse and its impact on communities and people in East Sussex. Domestic violence and abuse, sexual violence and violence against women and girls newsletter. Click on the image below to subscribe and view past issues. Domestic Homicide Reviews are a way to improve our local coordinated community response. Looking at the death of a person aged 16+ as a result of domestic violence and abuse, they aim to: understand what happened; identify where agency responses could be improved; learn lessons including how agencies work together; identify how to improve responses; and to prevent something similar happening to others in the future. For more information on local reviews, click here. See all the relevant strategies and publications about drugs and alcohol here.